That Red Thing: Stokemonkey Is Back! 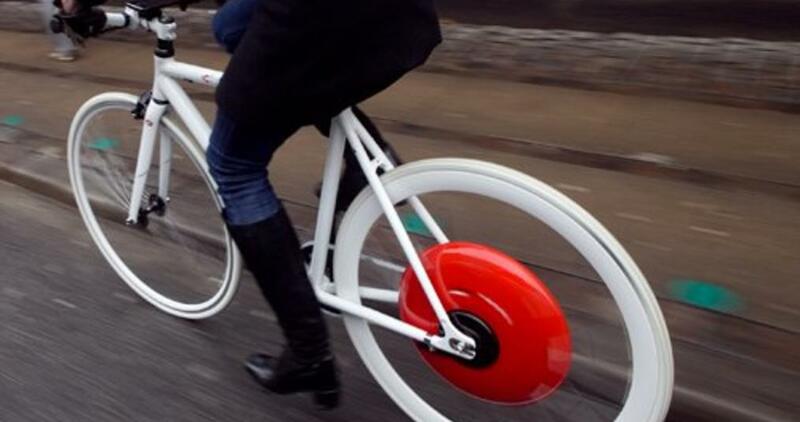 It seems like every few hours for the last couple months, people ask us if we've heard about the Copenhagen Wheel. It's an electric motor for bicycles, and your smartphone talks to it, and it's red! According to dozens of non-bicycle-oriented media organs and their repeaters, who have never ridden one, it re-invents the wheel. Hasn't shipped yet, but they're already calling it "the leading pedal assist electric system in the world." Actually we've been hearing about it for several years since it was first presented as a concept involving cloud-based crowd-swarming electric bicycle traffic jam avoidance technology. We've still heard very little useful about it from anybody not part of the marketing effort, which is heavy on beautiful people astride one pristinely white bike with the saddle too low, stripped-down no doubt to emphasize the uncluttered design. Tech specs are thin. You can pre-order one. All snark aside, it might be awesome. We hope so. We'll see! What's beyond question is that these people have awesome buzz-building skills. Which is really the only reason we're even mentioning it. Our own red-motor electric assist system called Stokemonkey is back. We developed Stokemonkey for Xtracycle's longtail cargo bikes, starting in 2003, when we lived in famously hilly San Francisco. While the practicality and fun of hauling passengers and similar heavy loads on a bike in flattish terrain is a true story in need of more telling, almost everybody knows that steep hills and heavy cargo make bicycles neither practical nor fun. 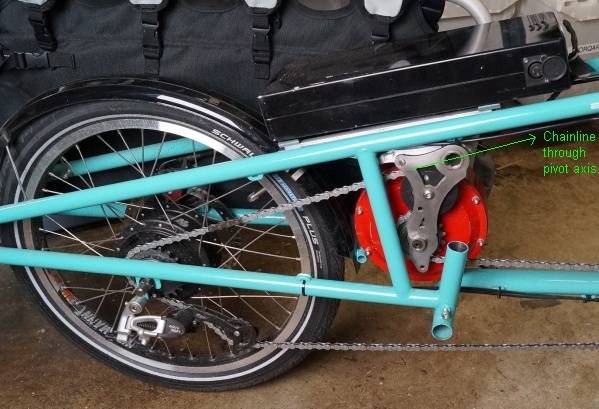 We invented Stokemonkey to make cargo bikes work anywhere. Patented in 2007, it still does. Frankly, it's been a long, bumpy road bringing and keeping Stokemonkey on the market, with lots of part supply problems, especially in the battery department. Never mind the major recession, and the different kinds of strengths required on the one hand to open and run a bicycle shop and on the other to manufacture a complex kit of parts in low volumes, it turns out that the most compelling use cases for Stokemonkey are set in much hillier places than Portland, while we as a Portland shop can't always offer an ideal level of pre- and post-sale support of installations on bicycles we don't sell or even see, let alone lay our hands on. Together, these facts and a few more made Stokemonkey challenging business for us. Huge torque. 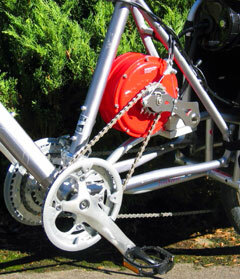 Using the bottom end of common MTB-type gearing, Stokemonkey can produce up to about 4 times the torque as popular hub motors like BionX, or twice as much as an early VW Bug (~110lb-ft/150 Nm), allowing full power at sub-walking speeds. Torque is what you need to budge a heavy bike up a steep hill from a dead stop. Stokemonkey got ~480lb up the steepest in San Francisco, a hill that brings hub motors to their knees. Much more efficient. On a loaded bike in hilly terrain, especially with a lot of stop and go, Stokemonkey can go more than twice as far on a given battery than popular hub motors: "With the eZee system, Heidi could only manage about 30km, where under similar conditions and using the same battery, she was cranking out 85km with the Stokemonkey." That's because the motor is never forced to work at slower speeds than optimal. This advantage disappears if all you want is help cruising along at higher speeds in flattish country. Since batteries are the most costly and frankly limiting component of most any assist system, doing more with less is a huge advantage. Quiet and robust. Stokemonkey has no internal moving parts, and no high-speed moving parts at all. Noise-wise, it's the difference between a ceiling fan and a cordless drill. There are other assist systems on the market that can move loads nearly as well as Stokemonkey, themselves a little lighter, but always at the expense of their internal hamster wheels moving at buzzy, fast wearing speeds. Non-proprietary consumables. Moving parts wear out. Batteries die. When the time comes, Stokemonkey's moving parts are standard bike parts available from several manufacturers. Same story for suitable batteries: while good ones aren't as readily available or inexpensive as we'd like, what's certain is you'll never be locked in to any one company's proprietary offerings. Inexpensive. This is relative, of course. It's the cheapest system that will do what it does. If you don't need your bike to be a tractor, you have less expensive choices. If you do, Stokemonkey is The One. We have partnered with the electric assist specialist Grin Technologies in Vancouver, BC to update the supply chain and the product generally. We are again selling Stokemonkey installed on complete bikes that we sell locally or ship. These include Xtracycle's Edgerunner and now Yuba's Mundo, together with Surly's Big Dummy. For mail-order retrofit projects, and a la carte parts support, especially if to be installed on bikes we do not stock, contact Grin. Justin Lemire-Elmore of Grin was responsible for programming Stokemonkey's main software elements in 2007-8, and in addition to helping bring back Stokemonkey in its "classic" form with chain-driven left crank, is innovating with both hard- and software to introduce a very elegant pedal-sensing variant: no additional chains or chainrings, no driven pedals, no throttle needed. You can read all about it here, in great geeky detail. It's kind of genius! We will sell this right-side variant after a few final refinements are field proven; meanwhile apply to Grin now if you are a "keen technically minded" person eager to get an early crack at the new flavor. We loaded up a Stoked EdgeRunner with a hot tub and a couple adult passengers to a gross vehicular weight of about 800 lb. You read that right. And Dean got it up in 2nd gear.